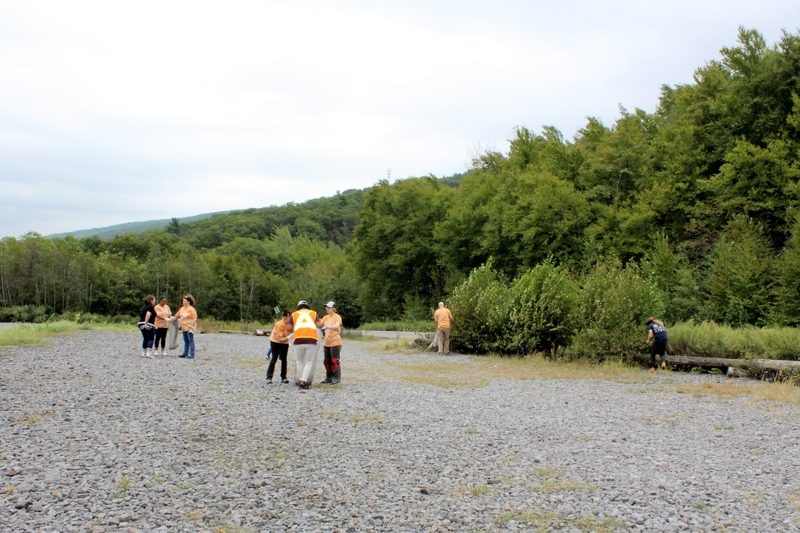 On Friday, September 21, 2018, EC hosted a tree planting and trail cleanup on its Hanover Recreation Fields and Sugar Notch Trail. The event was led by DHL Supply Chain, which currently operates a distribution center on what was once EC’s Huber Bank. More than a dozen employees volunteered their time, literally digging in to improve the two community resources. The group planted over 30 trees and cleared out bags and bags of trash, efforts which reflect DHL’s commitment to community involvement and sustainability. 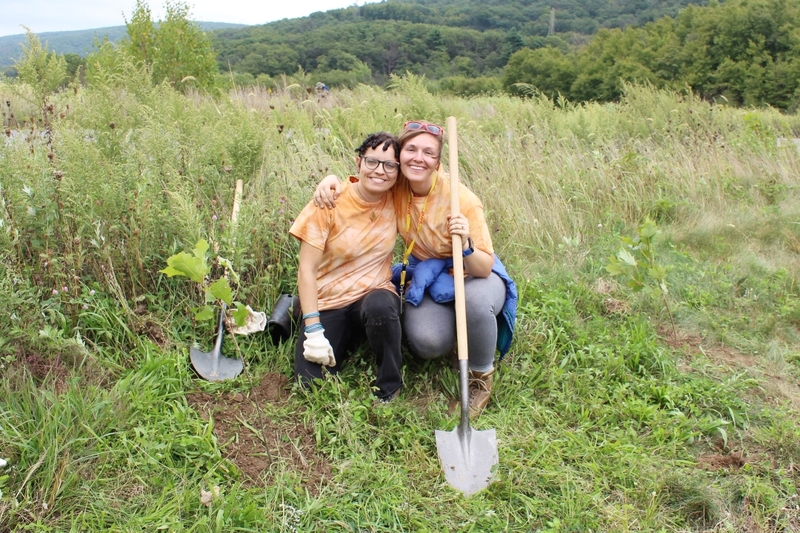 Also joining in the activities were EPCAMR and the Lackawanna River Conservation Association, the latter of which provided the maple, white birch, redbud, and oak saplings. As the young trees grow, they’ll provide a beautiful backdrop to the playing fields, as well as contribute to EC’s efforts to restore environmental health in the region. Our thanks to everyone involved. EC’s continued success only comes from collaboration with community partners like you. Pictured below, from left to right: 1.) From DHL Supply Chain: Emily Davis, Sustainability Program Manager, and Gabby Zawacki, Environmental Specialist. 2.) DHL Supply Chain employees working on cleanup of the recreation fields parking area, before moving on to the Sugar Notch Trail. 3.) 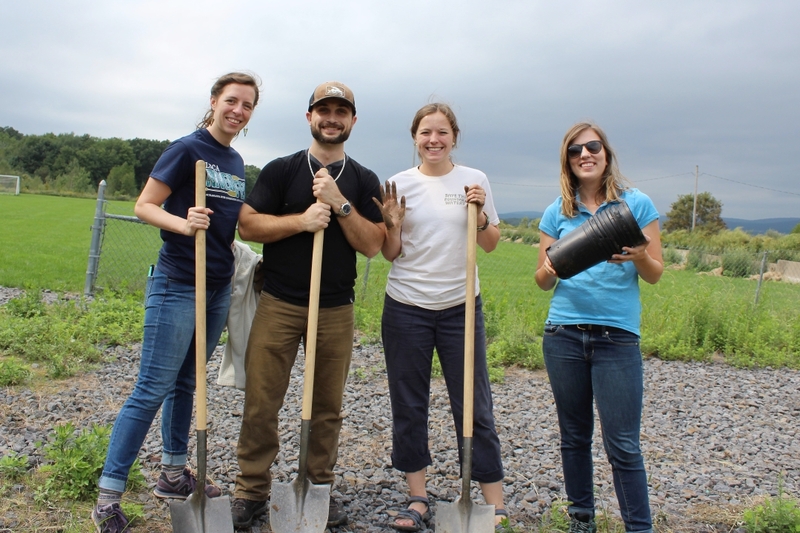 From Lackawanna River Conservation Association, Kelsey Biondo, Program Manager; and from EPCAMR, Gavin Pellitteri, Watershed GIS Specialist; Megan Hewitt, volunteer; and Rachel Grube, GIS/Watershed Specialist. 4.) View from the Jacqueline Munro Trail, looking over the Hanover Recreation fields and the now reclaimed Huber Bank. 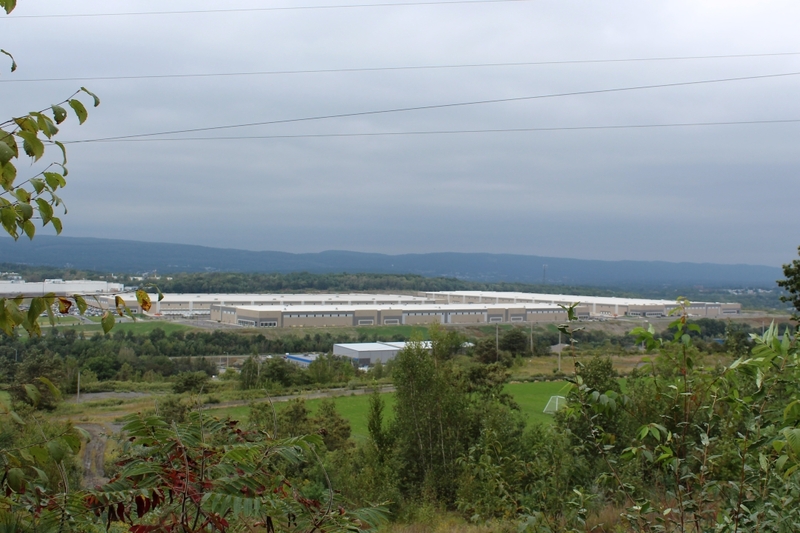 The new DHL Supply Chain facility is in the foreground.